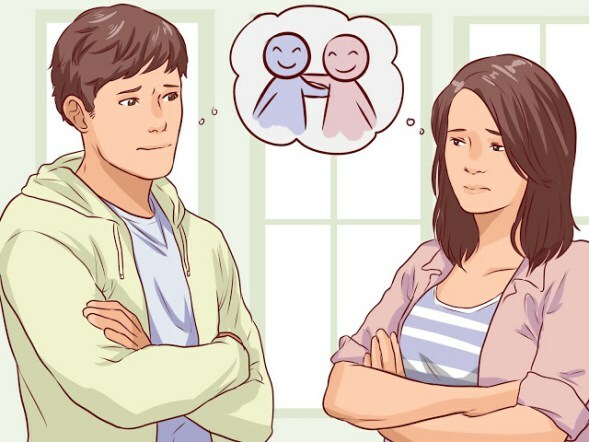 Home couple genuinely health husband love relationship useful wife 9 Ways To Know If A Person Genuinely Loves You Or Not! Must Read! 9 Ways To Know If A Person Genuinely Loves You Or Not! Must Read! There is no guaranteed way to know if someone truly loves you or not, but there are a few signs. If you would like to know if the person you love truly loves you back, then you have to pay attention on how the person acts, what they say, and what they do when you are together. Most of the times, people are thinking how they could find out if someone really feels true and deep love for them. It is hard to determine if someone really feels the same way for you. Here are 9 ways to know if someone loves you truly or not. You must read this! When they make love to you, they care about what turns you on and what turns you off. Love making for them is not always about getting pleasure. They understand it takes two to tango! A person who genuinely loves will support you but at the same time will take care that you don’t commit mistakes or take wrong decisions. It shows that they trust you and they understand that you have genuine reasons for not picking up their call. They respect your time! In case you fall ill your true lover will take care of you. They will ask you about how you have been doing, if you have taken your medicines on times and are eating well. The one who truly loves will call you several times to check on health. This indicates that this person loves you. How you view a particular event or a person is important to them they respect your judgments regardless of whether you agree with them or not. Your partner will know what makes you happy and they will do small things to make you feel special. They will shower you with love and care. This means they are in love with you. They will patiently hear you rant about your boring jobs, friends and family. They will also give you their shoulder for comfort. They will tell you to do the best you can and to be nice to others because other relationships also matter. 8. They Are Not Afraid To Say I Love You! True lovers are not afraid to say it loud that they love you. They will take care to tell you often to express their love to you. This means that they are not scared to show their love for you in front of friends and family. They are who they say they are. There is no mask. These little things may often get unnoticed but they are extremely important. If that special someone does all these things, then never let them go!